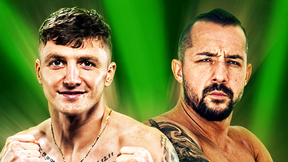 Michelle Waterson vs Felice Herrig UFC 229 Oct 6, 2018 (23:38) Michelle Waterson vs Felice Herrig at UFC 229: Khabib vs McGregor from October 6, 2018 in Las Vegas, Nevada. 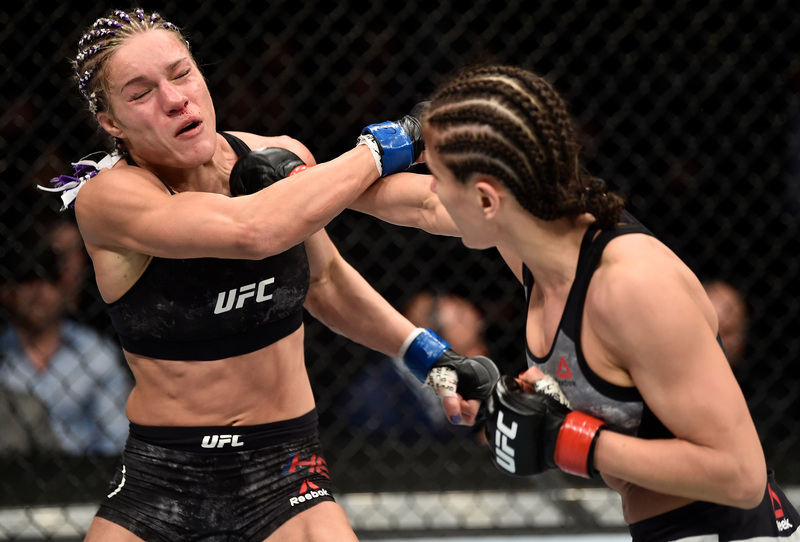 Karolina Kowalkiewicz vs Felice Herrig UFC 223 Apr 7, 2018 (24:01) Karolina Kowalkiewicz vs Felice Herrig UFC 223: Khabib vs Iaquinta from April 7, 2018 in Brooklyn, New York. 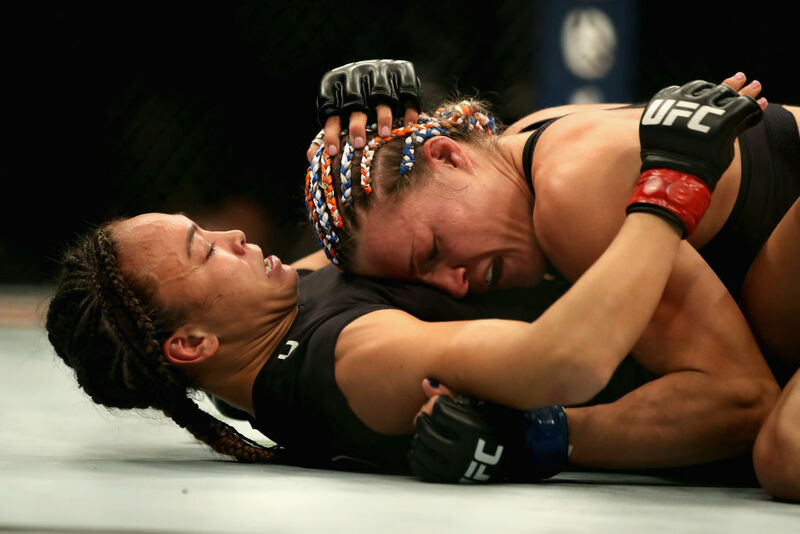 Felice Herrig vs Cortney Casey UFC 218 Dec 2, 2017 (24:22) Felice Herrig vs Cortney Casey UFC 218: Holloway vs Aldo 2 from December 2, 2017 in Detriot, Michigan. 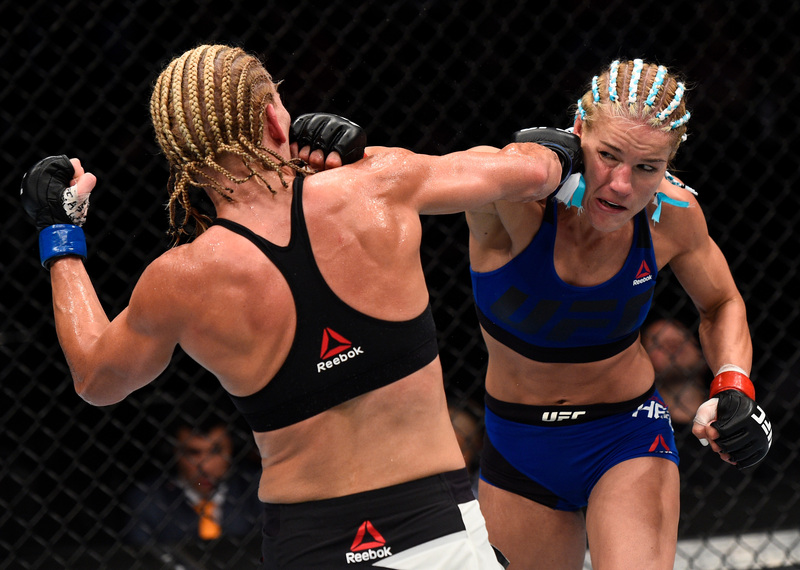 Felice Herrig vs Justine Kish UFC Fight Night Jun 25, 2017 (25:19) Felice Herrig vs Justine Kish UFC Fight Night: Chiesa vs Lee from June 25, 2017 in Oklahoma City, Oklahoma. 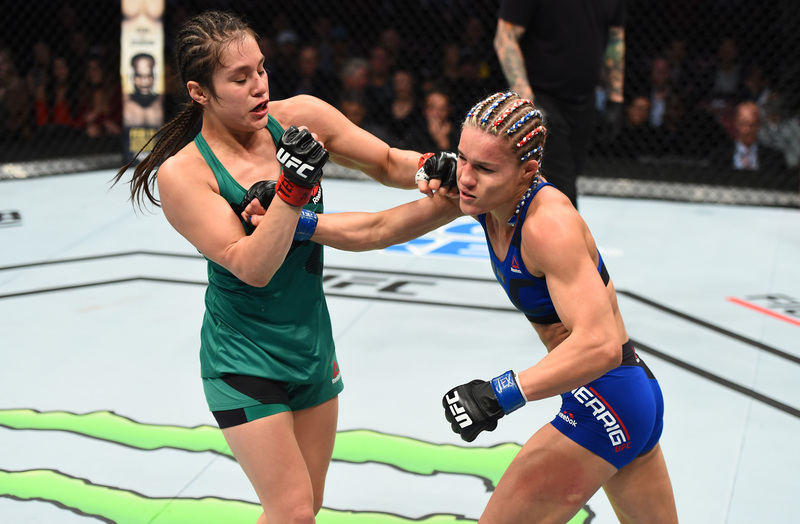 Felice Herrig vs Alexa Grasso UFC Fight Night Feb 4, 2017 (29:34) Felice Herrig vs Alexa Grasso at UFC Fight Night: Bermudez vs Korean Zombie from February 4, 2017 in Houston, Texas, USA. 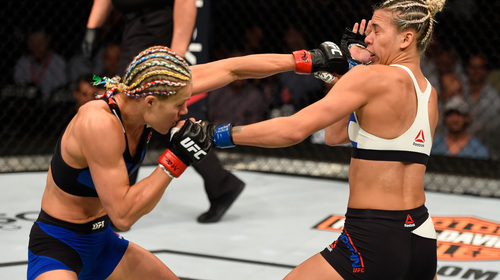 Felice Herrig vs Kailin Curran UFC Fight Night Jul 23, 2016 (10:32) Felice Herrig vs Kailin Curran at UFC Fight Night: Holm vs Shevchenko from July 23, 2016 in Chicago, Illinois. 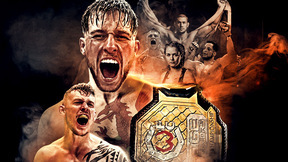 Paige VanZant vs Felice Herrig UFC Fight Night Apr 18, 2015 (23:27) Paige VanZant vs Felice Herrig at UFC Fight Night: Machida vs Rockhold from April 18, 2015 in Newark, New Jersey. 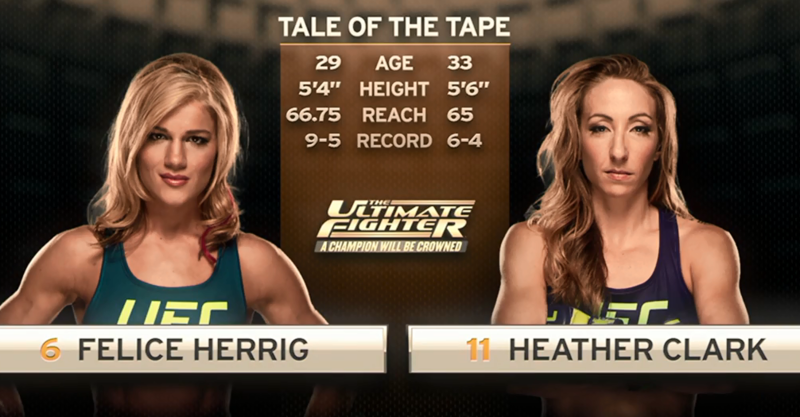 Felice Herrig vs Lisa Ellis TUF 20 Finale Dec 12, 2014 (13:28) Felice Herrig and Lisa Ellis both looks to prove that they are close to earning a title shot themselves as they clash at The Ultimate Fighter 20 Finale. 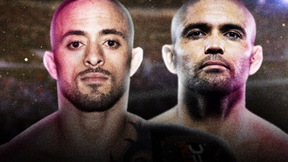 Randa Markos vs Felice Herrig The Ultimate Fighter 20 Nov 19, 2014 (5:18) Randa Markos vs Felice Herrig from episode nine of The Ultimate Fighter 20: A Champion Will Be Crowned from 2014. 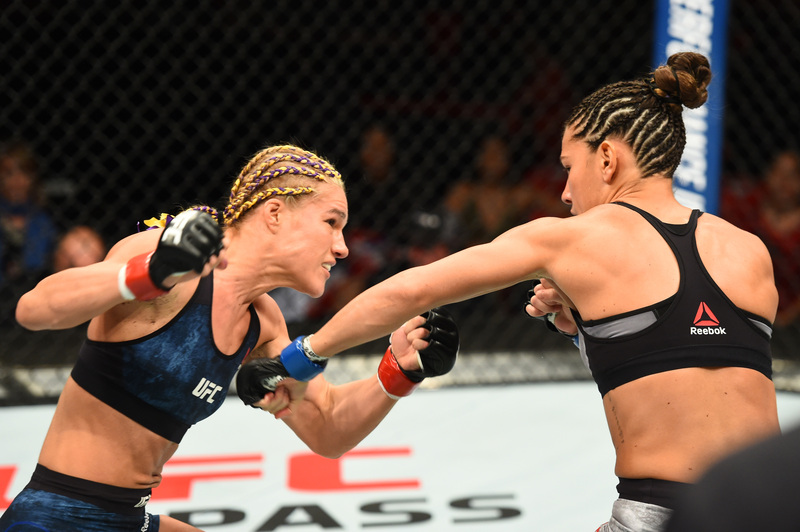 Felice Herrig vs Heather Jo Clark The Ultimate Fighter 20 Oct 22, 2014 (14:21) Felice Herrig vs Heather Jo Clark from episode five of The Ultimate Fighter 20: A Champion Will Be Crowned from 2014. Tecia Torres vs Felice Herrig Invicta FC 7 Dec 7, 2013 (27:11) 24 year old Tecia Torres, an undefeated 3-3, put her record on the line against Felica Herrig, who makes her Invicta debut, and hopes to make a statement with her striking tonight. Felice Herrig vs Nicdali Rivera-Calanoc XFO 39 May 13, 2011 (18:43) Felice Herrig vs Nicdali Rivera-Calanoc at XFO 39 from May 13, 2011 in Hoffman Estates, Illinois, USA. Felice Herrig vs Amanda LaVoy XFO 37 Dec 4, 2010 (4:44) Felice Herrig vs Amanda LaVoy from XFO 37 on December 4, 2010 in Chicago, Illinois. Valerie Coolbaugh vs Felice Herrig XFO 29 Apr 17, 2009 (13:15) Valerie Coolbaugh vs Felice Herrig from XFO 29 on April 17, 2009 in Lakemoor, Illinois.